The Dam I had Stability Condition Statements issued by TUV SUD do Brasil, an international company specialized in Geotechnics. The Stability Condition Statements were issued on 6/13/18 and 9/26/18, related to the Periodic Safety Review of Dams and Regular Dam Safety Inspection processes, respectively, as determined by the DNPM Decree 70.389/2017. The dam had a Safety Factor in accordance with the world's best practices and above the reference of the Brazilian Standard. Both of the abovementioned stability declarations attest to the physical and hydraulic safety of the dam. Dam VI, which contains 843.8 thousand m3 of tailings, was inspected shortly after the Dam I breach and it was verified that the structure remained within the required safety parameters, even after the impact of the tailings. The dam is being continuously monitored by two radars, one of which works with real-time monitoring every 3 minutes. 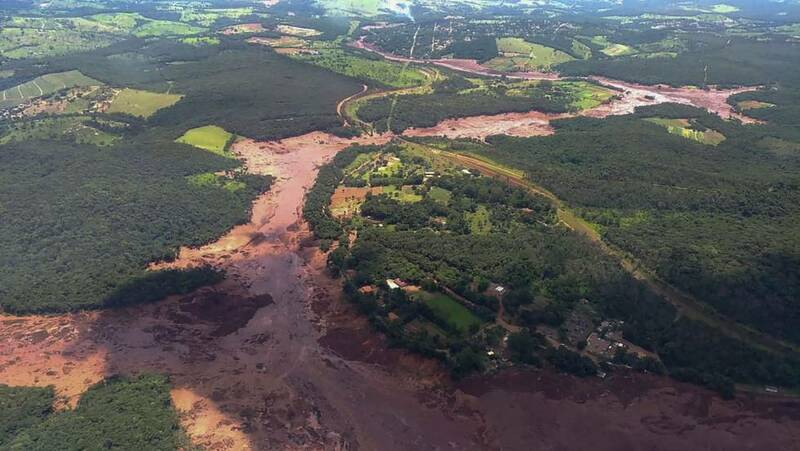 On Sunday, around 5:30 PM, the siren warning was activated in the region of Córrego do Feijão mine in Brumadinho (MG, Brazil), after detecting an increase of the water levels by the measurement tools that are monitoring the Dam VI. The authorities were alerted and, as a preventive measure, the community in the region was gathered in the meeting places previously determined by the Emergency Plan. The company is draining the Dam VI with the use of pumps, to reduce the amount of water in the reservoir and the water levels already receded to safe levels, reducing the critical alert level from 2 to 1. With that, people that had left their homes have already been allowed to return and the Civil Defense Corps have also been able to recommence their search for the missing people in the region. The plant facilities, the loading terminal, the maintenance workshops and the administrative buildings of the Córrego de Feijão mine were damaged, and there were blockages to the road access from the mine to the Córrego do Feijão village as well as the access from the entry passageway to the Alberto Flores cloverleaf interchange. On Friday night (1/25/19), the State Secretariat for the Environment and Sustainable Development (SEMAD) issued the first inspection report ordering the immediate suspension of all activities of the mining company at the site, except for emergency activities. Moreover, SEMAD determined the immediate opening of a channel where there was accumulation of sediments interrupting the natural flow of the watercourse. The Córrego de Feijão mine belongs to the Paraopebas Complex in the Southern System and produced 7.8 Mt in 2017 and 8.5 Mt in 2018, out of a total of 26.3 Mt and 27.3 Mt of the Paraopebas Complex, respectively. The other mines and processing plants of the Paraopebas Complex were not affected by the tailings wave. As at 6:00 PM of January 27th, 2019, 361 people have been found, 305 people are still missing, and 16 fatalities were confirmed by the Instituto Médico Legal (IML). Vale continues fully focused on relief efforts and on the support of those affected. Rescue and assistance to the victims on site continue being operated by the Fire Department and by the Civil Defense Corps. Vale's teams have been working, uninterruptedly, along with the Fire Department and Civil Defense Corps, in support of the rescue of victims. The company provided 15 lighting towers, backhoes, 40 ambulances, 800 beds, a helicopter to support rescue and 1 million liters of potable water, 1.6 thousand liters of mineral water for the community, as well as private hospital care and psychologists. Since the breach, Vale has also made available 2 support centers and a free-to-call phone service to serve those affected. In the support centers, 60 of the company's employees and volunteers are working to provide shelter and help with identification efforts 24/7. As at Sunday, 10:00 AM, over 1.4 thousand calls had been answered and 1,000 people had been relocated to the support centers. In regard to the displacement of tailings, due to the fact that the dam was inactive, that is, it did not receive further tailings, they were relatively dry and, as a result, the movement of the tailings was limited. What is flowing in the channel of the river is water with altered turbidity level and color. So far, as at 4:24 PM of January 27th, 2019, the water reached 63 Km from the point of the dam breach. However, it should be noted that the tailings are still not stable, and there may be more intense movements depending on the weather conditions, especially rainfall over the affected region. Vale mobilized teams for monitoring the Paraopeba River basin, for wildlife rescuing and to support sanitation measures.